We offer bespoke silversmithing design straight from our Amelia Island, Florida studio for your special days or events. Our focus is on simple, timeless designs and we would be honored to see your pieces be treasured heirlooms. When we design, we think decades and centuries out. We are a zero-landfill studio, striving to create beauty with a conscious - jewelry that is a statement of a commitment to a socially and environmentally responsible lifestyle. 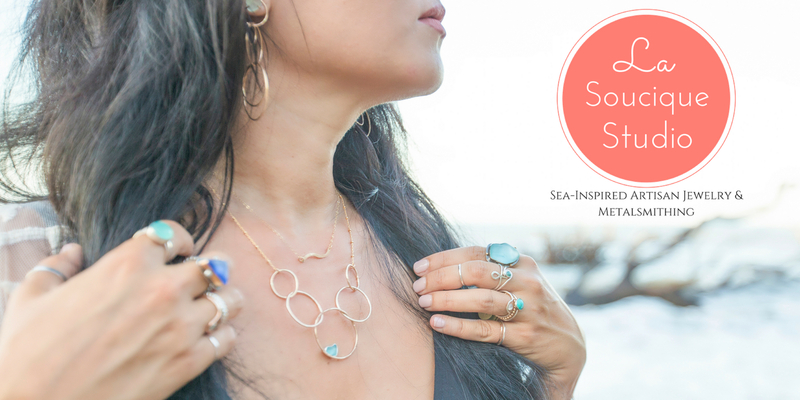 It represents an opportunity to feel good about jewelry and its impact on a resource-starved world. 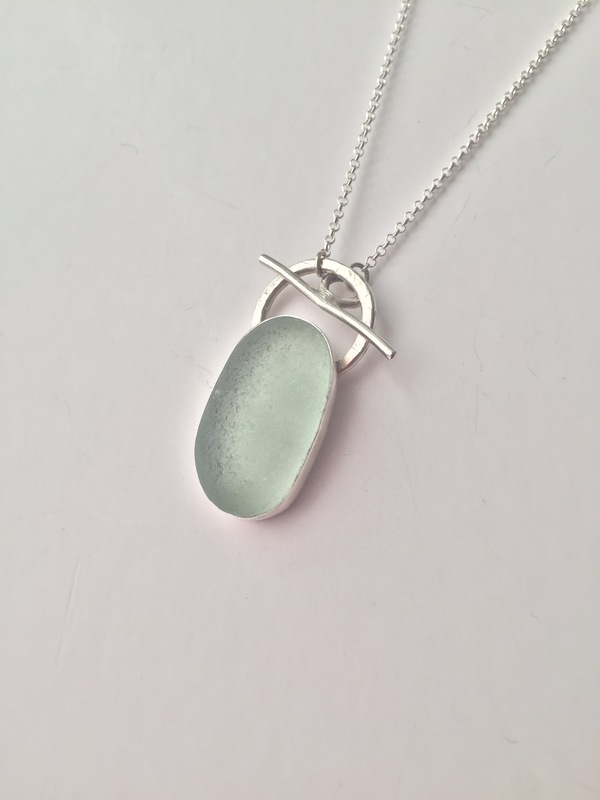 We've found that the setting of Found Objects, such as sea glass or shark teeth and unique shells, is the perfect way to demonstrate the true spirit of Sustainability. Our focus is on utilizing found objects (i.e. recyclables and “trash” such as sea glass) from all around the world. 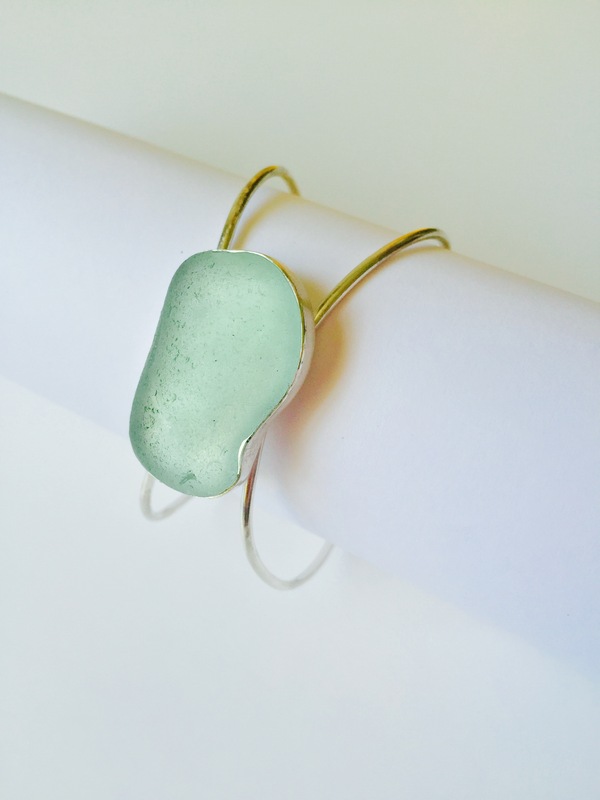 Techniques in hand forging, soldering and creation of custom fine and sterling silver bezel settings as well as mixed metal settings in bronze, brass, red brass and copper, highlight the timeless simplicity, tranquility and beauty of each piece of sea glass or gemstone. And let us help you bring those memories to life once again!